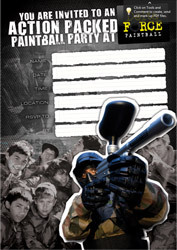 All set for your upcoming paintball party? 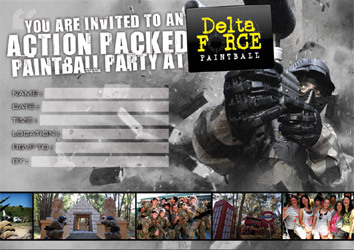 Download any of our Delta Force Paintball Party invitations and get your friends ready for the big day. 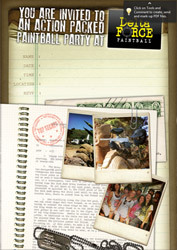 Simply print them out, complete the invitations and send them out to your fellow combatants!